Another big week in general avation, with CASA and the ATSB back before the Senate RRAT Committee to answer ongoing questions over the 09/19 Community Service Flight legislation changes. CASA Director of Aviation Safety, Mr Shane Carmody, was left to defend the regulators questionable statistical review of the CSF sector, which claims the risk of accident to be 4 to 5 times greater for CSF flights when compared to private general aviation. Lots of ums, ahhs and stuttering can be heard, leaving viewers no doubt that CASA is struggling to make sense of their own work, let alone justify it. The industry garnered its first look at the controversial statistical review this past week, with commentators struggling to hold back their contempt. CASA are relying on BITRE data from 2015, 16 and 17, that they claim to have ‘extrapolated’ asserting that just 46 aircraft (on average) took part in CSF flights each year. A low result? Angel Flight have confirmed that their records show on average 250+ individual participating aircraft, and have made clear that CASA never formally contacted the charity to obtain data. Our safety regulator has gone on the record confirming that their vaunted 09/19 legislative changes, simply would not have prevented either of the two historical fatal accidents from occuring, and appear unable to explain why their changes are needed. Make no mistake, CASA appear to have been caught with their pants around their ankles and it’s becoming quite embarrassing to watch. 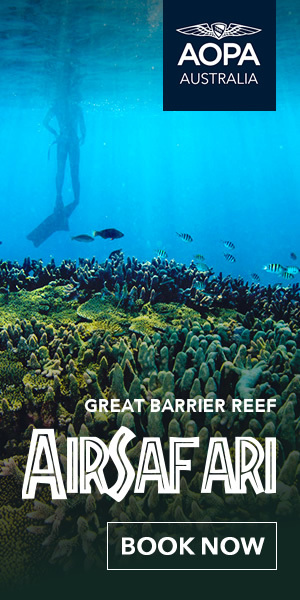 But they’re not alone, the ATSB have now been dragged into the fray with Commissioner Mr Greg Hood ducking and diving. Forget Married at First Sight, the industry now has a far more entertaining reality TV series, full of intrigue, secrets, feigned friendships and unrequited love. The Hunter Valley Airshow took flight this past weekend, a resounding success for its organisers – Paul Bennet Airshows – attracting some 12,000 attending spectators over the Saturday and Sunday. The airshow business in Australia is an extremely tough market and it’s great to see the inaugural event a success. 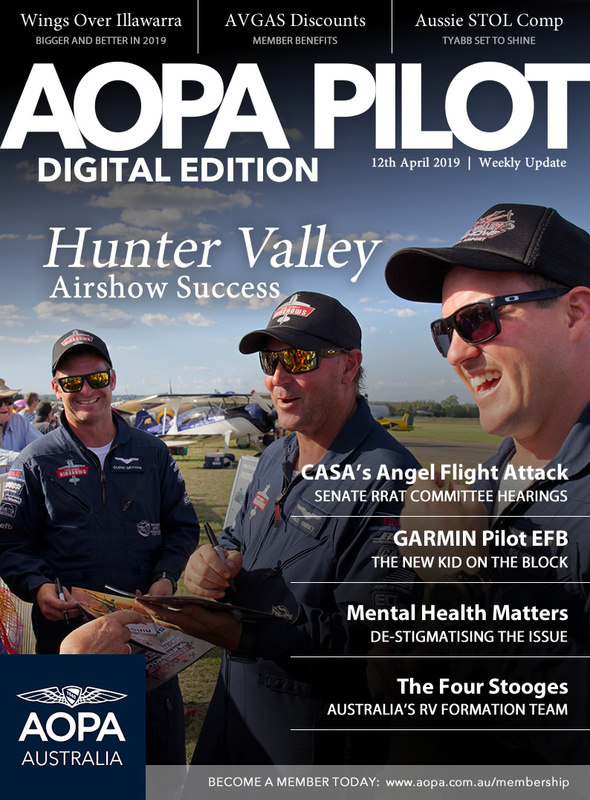 The best-laid plans of mice and men often go awry, and AOPA Australia is no exception. Having spent two weeks leading up to the Hunter Valley Airshow preparing our new VR Flight Simulator, our new Drone Zone engagement and expanded Junior Pilots exhibition we were let down by a defective brake booster on the Members Coach, which was defected during our HVIS inspection. Deflated but not defeated was the outcome and whilst we missed this year’s Hunter Valley Airshow, we will be there next time! This weeks feature article ‘Mental Health Matters’ by Kreisha Ballantyne and Nicholas Christie is a timely reminder of the need for major reform in the way in which CASA deals with mental health issues in the aviation industry. A greater effort by the regulator is needed to ensure that pilots can come forward without fear of reprisals. We need to de-stigmatise mental health matters. 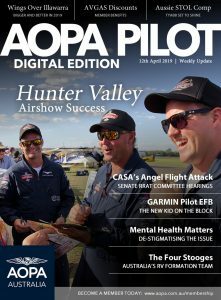 Having lost my partner in 2013 to suicide, it was heartbreaking to receive news yesterday of the loss of an AOPA Australia member who had been struggling with mental health, but felt he could not seek assistance for fear of losing his commercial license. 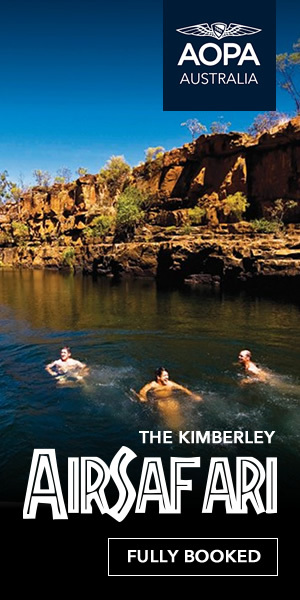 A tragic situation and outcome, leaving behind a partner and young children. On behalf of the entire AOPA Australia membership, I extend our sincere condolences to the family, our hearts go out to them at this difficult time. The Civil Aviation Safety Authority (CASA) were again before the Senate Regional Rural Affairs Transport Committee (RRAT) on the 4th April, to respond to further questions regarding recent changes to Community Service Flights, specifically focussed on CASA’s statistical data report that was used in claiming a need to implement the 09/19 Community Service Flights legislation. The ATSB were again before the Senate Regional Rural Affairs Transport Committee (RRAT) on the 9th April, providing their response to a range of questions regarding Community Service Flights. The Aircraft Owners and Pilots Association of Australia is excited to announce a new partnership with World Fuel Services for the provision of member aviation fuel discounts. The discounts partnership will run until April 2021. The Hunter Valley Airshow 2019 exceeded expectations this year with over 12,000 people attending across the weekend. Paul Bennet Airshows and his team have once again proved why they are the best in the business. This Sunday 14thApril will mark the inaugural Short Take Off and Landing (S.T.O.L) Championships, to be held at Tyabb Airport on Melbourne’s picturesque Mornington Peninsula. AOPA Australia’s Nicholas Christie will be there to cover all the action, as pilots from around Australia compete to win their heats – and battle it out to win the ultimate prize. The Wings Over Illawarra Airshow and AOPA Australia are set to shine again at the Illawarra Regional Airport 4-5 May – with event organisers anticipating a crowd of over 40,000 to attend this years event. 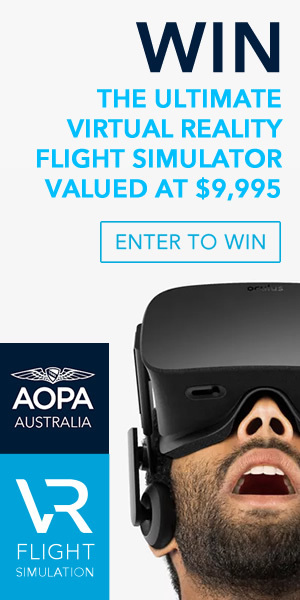 AOPA Australia will be there in force, with a range of new and exciting engagements designed to help inspire youth. The Junior Pilots crew were back at work this past weekend, with our Cessna FRA150L Aerobat VH-IRR refurbishment advancing. With the old paintwork removed, the team have been busy performing a detailed skin preparation, ensuring that the entire structure is entirely clean and free of corrosion. The team expect to spend another two weekends completing the remainder of skin preparation works, following which the new paintwork will be applied. In this FIRST of a THREE-PART look at the personalities and ‘state’ of aviation maintenance in Australia, AOPA Australia’s NICHOLAS CHRISTIE talks with Andrew Ralston from Westernport Aviation about his family business and the ways he has had to adapt to an ever-changing landscape. 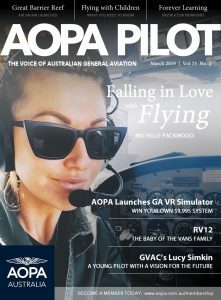 AOPA Australia’s Kreisha Ballantyne and Nick Christie discuss the importance of mental health awareness for pilots. Introducing The Four Stooges RV Formation Team! Since the first electronic flight bag apps appeared on the market in Australia ten years ago, two camps have emerged; the pilots who use AvPlan in one camp and those that use OzRunways in the other. Us pilots are a loyal bunch and we all have our favourite EFB app – which is usually the one we downloaded and used first.